Logging is the only way to get necessary data to reproduce a bug but now it has become impossible to handle that many devices and data. For example, there are billions of phones and tablets; even if mobile app only has few hundred users, it is not that easy to analyze the logs manually. IoT has made things even worse as according to an estimate, around 6.4 billion devices are connected with the Internet. The obvious solution is remote logging and the idea behind that is amazingly simple; instead of storing logs locally, you store them remotely on a server – that’s it. 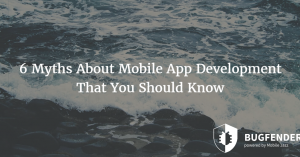 Now mobile apps are more complicated than ever that means developers and testers cannot possibly cover all the corners during the testing phase; in other words, app developing is now an evolving process where you have to discover bugs and improve the app. Bugfender is a popular remote logging tool that can help you with iOS and Android development. 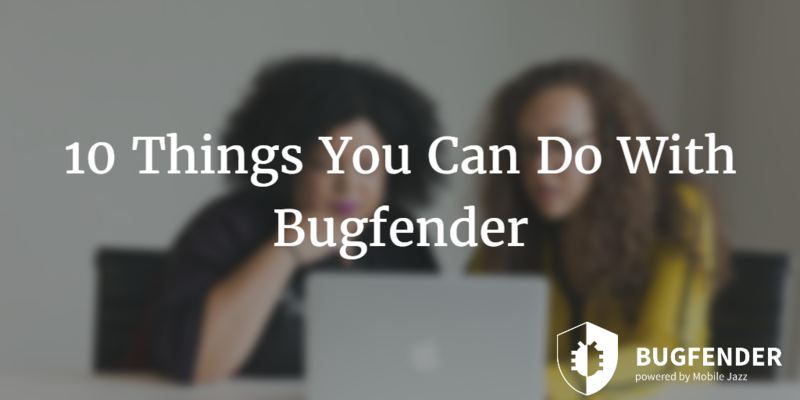 Following are 10 things you can do with Bugfender. Android Fragmentation might be a popular term but now this issue is not exclusive with Android as there are a large number of permutation of iOS devices and iOS versions. However, things are much worse when it comes to Android as there are hundreds of manufacturers like Samsung, LG and many others are making thousands of different models with different specifications. Similarly, there are more Android versions in the market than iOS versions that make things challenging for Android developers as they can’t possibly test their apps on all the devices, especially if they are working on a budget. Using Bugfender, even small teams and individual developers can test their apps on real devices in real world remotely and reduce their testing expense dramatically. Once in the market, real users of the app continue to provide information on the application’s performance on their devices, some of them inevitably untested previously. Bugfender can give developers real time access and insights about the behavior of their app on all the devices. This attribute makes it easier for developers and testers to pinpoint an unusual behavioral pattern of the app that they miss in the testing phase. We all know there are millions of apps out there and every app has at least one alternative. 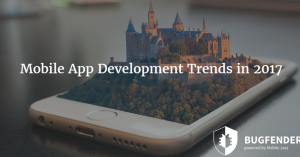 This makes it harder for developers to launch new apps and position them on top – and it is impossible to rank a buggy app on app stores like Google Play Store and iTunes. On the other hand, there is nothing like “bug-free” app and especially now apps are more complex than ever so making them bug-free before the launch is not only time consuming but also a resource eating practice. The optimal solution is to find bugs before users do and Bugfender, loaded with customizable and powerful logging tools can help developers and testers do that. Bugfender is specifically designed to be lightweight and easy to embed in the apps. However, the server end of the code is like a virtual command center from where developers can remotely control logs and logging procedure. It is pretty straightforward to enable or disable logging on different devices. By using this feature smartly, developers can reduce the overall bandwidth usage significantly. This is probably one of the best features of Bugfender; unlike many other crash reporting tools, Bugfender not only provides real time insights but also logs events in offline mode. So, when the device gets Internet access, those logs are sent to the Bugfender server to developers and testers. In other words, even when the device has no Internet access, Bugfender works and stores logs locally and forwards them later when a connection is found. This feature allows developers to configure the app to work smartly and create an issue in a session whenever a problem occurs. The idea behind this function is to send human readable information to the developers instead of raw data. The main power of this feature is its customizability where developers can configure the app to send sessions to any of the supported 3rd party integration tools. As mentioned above, the app sends the log files to developers and this is done via emails. By default, Bugfender is configured to send emails to every developer in the list of that specific app but developers can change this behavior via settings. Besides the basic email feature, Bugfender supports a wide range of 3rd party tools and services including Slack, HipChat, Campfire, Basecamp, Trello, Redbooth, Github, JIRA, BitBucket, Zendesk, Freshdesk, Intercom and many more supported by Zapier. The latest version of Bugfender is fully supported by world popular customer support tools like Zendesk, Freshdesk and others. 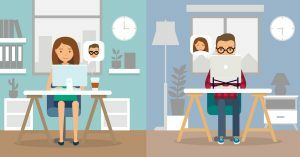 By using these tools, developers can provide state of the art customer services to their users remotely. Although this is not the primary feature of Bugfender and neither it is the primary reason to use Bugfender in the first place but considering the complexity of apps nowadays, it is reasonable to offer customer support to users so they can get professional assistance if needed. Not to mention it would improve their overall user experience. Few weeks ago, Bugfender released an amazing feature called “UI Logging” that exactly does what its name suggests. This feature logs everything on the screen and dramatically makes developers more efficient and productive by reducing the workload on them. UI Logging is available on iOS and Android developing kits and this feature can detects gestures, touches and users’ interaction with the screen. Of course, like other features of Bugfender, developers can enable or disable UI Logging when needed. Bugfender is highly customizable and it allows developers to set the configuration details based on their preferences and needs. Developers can configure the tool to log events on devices running a specific version of their platform. Bugfender not only works with platform configuration, but developers can select manufacturer, specific model and lots of other details. For example, if an app is not working on a specific device but works perfectly on other devices, the developer can simply configure Bugfender to log these specific devices instead of all of them. as_eye-d Created with Sketch. as_websummit Created with Sketch. as_disney Created with Sketch. as_slack Created with Sketch. as_menshealth Created with Sketch. as_safedome Created with Sketch.